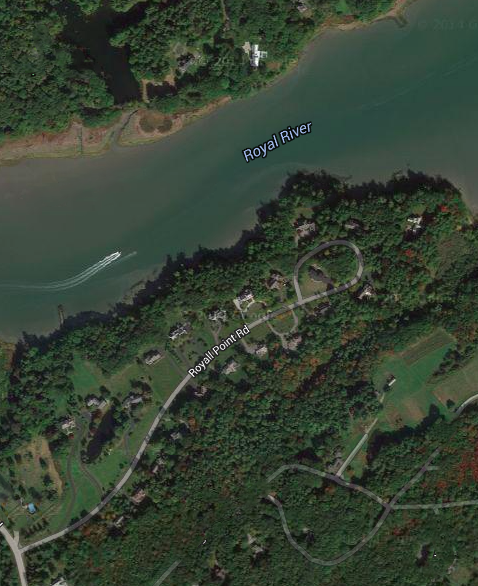 Royal Point in Yarmouth, Maine is set on the Royal River. The development was started in the late 1970's by Peter Anastos. The last house was built in 2003. The Royal River flows through New Gloucester, Auburn, Gray, North Yarmouth and Yarmouth. Many people who aren't lucky enough to live along the Royal River know the river as the boat-specked anchorage they glimpse while zooming along Interstate 295. Others have paddled the lazy flatwater above the dams in Yarmouth. Licensed in Maine Copyright © 2000-2015 Keller Williams ® Realty. - a real estate franchise company. All information provided is deemed reliable but is not guaranteed and should be independently verified. Properties subject to prior sale or rental. Each brokerage is independently owned and operated.